One of the flight routes that I have been wishing and waiting for have just began! Last August 16, 2013, Cebu Pacific have launched direct flights between Manila and Phuket. 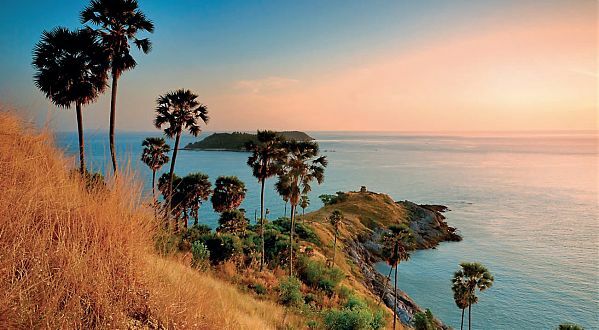 Thailand's largest island is CEB's 21st international destination. During the maiden flight, the first passengers received a special send-off from the Ambassador Extraordinary and Plenipotentiary of the Kingdom of Thailand, His Excellency Prasas Prasasvinitchai, together with the Executive director of the Civil Aeronautics Board, Hon. Carmelo Arcilla. Cebu Pacific operates thrice weekly Manila-Phuket flights. According to CEB VP for Marketing and Distribution Candice Iyog, "We are proud to be the first airline to offer direct services between Manila and Phuket, so more traveler can visit Phuket's world famous beaches. Similarly, foreign tourists now have the option to add Manila to their itinerary, after they visit Phuket. With CEB's trademark lowest fares, this route can contribute to tourist arrivals to both Thailand and the Philippines." CEB VP for Marketing and Distribution Candice Iyog, His Excellency Prasas Prasasvinitchai, Ambassador Extraordinary and Plenipotentiary of the Kingdom of Thailand, Hon. Carmelo Arcilla, executive director of the Civil Aeronautics Board, CEB VP for Airport Services Antonio Jose Rodriguez and cabin crew. 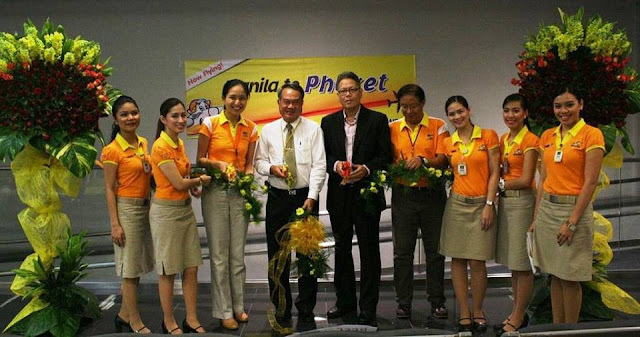 Phuket is Cebu Pacific's 2nd destination in Thailand. Twice weekly flights from Manila to Thailand's capital, Bangkok was launched last December 2012. With two destinations in one amazing country and with Cebu Pacific's frequent seat sales, people can now choose whether to have a city break in Bangkok or a beach holiday Phuket. As for me, I'm just glad to know that I can now easily reach Phuket and fulfill wish #8 on my 20 before 2020 list! Great news! 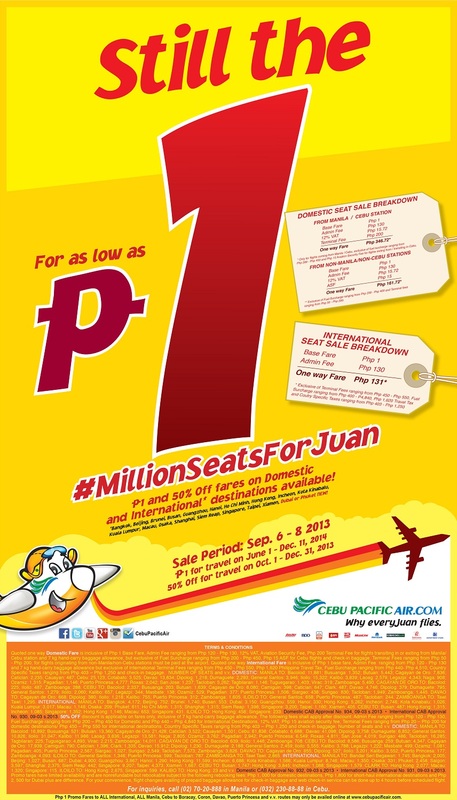 Cebu Pacific currently has a system-wide seat sale for all destinations from midnight (Philippine Time) of September 6 until September 8, 2013. Travel period is on June to December 2014. Book your tickets at www.cebupacificair.com. Great info! Very simple and easy…nobody can explain as interesting as this. I appreciate your time and effort on making things simple and easily understandable. Sayang i missed the seat sale this time around. Would have been nice to book a second vacation pa naman for next year.